This event is free and will host 4 areas dedicated to different age groups: Walking – Age 2, Ages 3 – 5, Ages 6 – 8, and Ages 9 – 12. The Annual Trotwood Easter Egg Hunt is set for Saturday, April 20, 2019 at 10:00 a.m. at Madison Park, 301 S. Broadway Street, Trotwood, Ohio. Walking – Age 2, Ages 3 – 5, Ages 6 – 8, and Ages 9 – 12. The Easter Egg Hunt will include candy eggs, prize eggs, a special grand prize, as well as a visit with the Easter Bunny, for photos. For more information, please contact Ciara Lewis (937) 854-7228. 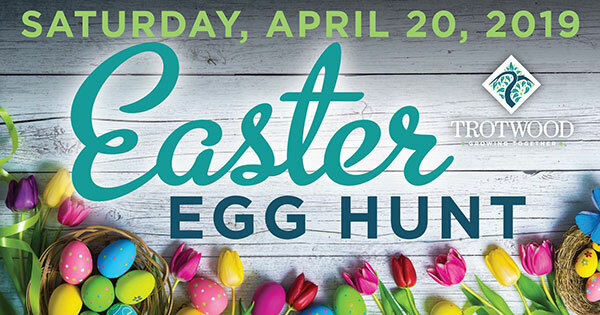 Find more events like "City of Trotwood Easter Egg Hunt"
Trotwood is a development friendly municipality near Dayton, Ohio. Its over 30-square mile area has nearly 25,000 residents living in a non-congested, family friendly setting.